What Exactly Does An Inverter Do, and How Does It Work? When would it be better to use an Inverter Generator instead of a Conventional Generator? Inverter generators tend to be the most suitable power source in many conditions where alternative power sources are needed, because they are easy to use, portable, and they make such a reliable and stable source of power. They are also versatile, light, and noiseless machines. If you have been wondering which inverter generator to choose, look no further. We will guide you in your quest to get the best inverter generator that meets your needs. Our aim is simple: to arm you with enough information to make an educated decision of the best portable inverter generator that will meet your specific needs. In doing this, we will majorly be juxtaposing the inverter generators with the well-known, conventional model. This guide will leave you with all you need to know about inverter generators, how they function, and how to select the most suitable one for you. The Honda EU2200i is an updated version of the EU2000i. It is by far the most reliable engine in the inverter generator category with a capacity of 98.5cc able to comfortably support large loads without rescinding its overload circuit. Honda has always been the best engine manufacturers ever since, the Honda 2200W engine cannot be therefore compared to other engine types in terms of performance. Moreover, Honda has the largest number of service stations that will come in handy whenever anything goes wrong with your Honda engine. Produces 2000W at its peak and 1600 running wattage. Is a single cylinder Honda GX120 OHV 4-sroke gasoline engine. Eco mode to match engine speed with connected load coupled with intelligent throttling reduce the fuel Consumption levels by up to 40% and consequently reduced emissions. The eco-throttle considerably reduces the noise levels as well. Supports parallel running and can be connected to another GX120 Honda 2000 generator using a separately provided Honda 08E93-HPK123HI parallel kit to be able to produce a higher power level. Has a low oil alert system with three indicator LED lamps, an overload protection system and automatic shutdown in the case of low oil or fuel. 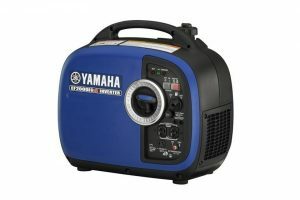 These features will keep a safe state for your portable generator while the 3-year limited warranty comes in hand wherever anything goes wrong within the period. Has a USDA qualified spark muffler. 53 decibels noise on 25% load and 59db on full rated load, very quiet. Weighs 45.6 pounds. It is therefore easy and convenient to move around. Read our full Honda EU2000i Review. It produces minimal noise ranging at 48 decibels at quarter load and 57 decibel at full load. This offers the least interruptions to the neighbourhood and places where it is being used. It is fuel efficient. With a full one gallon tank the Honda EU2200i has got a runtime of 8 hours at quarter load and over 3 hours on a full load. Honda service stations are located almost everywhere in the world thus easier access to service agents. Absence of a fuel gauge making it almost impossible to know the fuel level. Initial acquisition cost is high. The WEN 56200i inverter generator is the most pocket friendly generator in terms of initial purchase costs. This can be articulated to the low power, it comes in handy for use with low power Consuming electrical appliances. The use of the WEN 56200i generator eliminates the wastage of fuel since the produced voltage is put into maximum usage. Moreover, one saves on fuel costs that would otherwise been spent on a considerably larger generator due to minimal utilization of the produced power. Talking of fuel utilization, the WEN 56200i generator has a run time of 6 hours at 50% load with a full 1-gallon fuel tank. WEN 56200i has an eco-mode which comes in hand to regulate the amount of fuel that consumes depending on the appliances that have been plugged in. When a low power Consuming appliance is being used the eco-mode setting will automatically reduce the speed of the engine by reducing the amount of fuel intake. Oil is of utmost importance to enable a smooth running and a longer lifespan for the inverter generator. Also, there is a low oil indicator amp to prevent running on low oil levels. Produces 1600 running watts and a peak 2000W with a rated amperage of 13.3A. A 5V USB port comes in handy to easily charge your phone. 12V DC port is available to charge power batteries. Weighs a mere 54.4 pounds making it the perfect choice for household and camping needs. It constitutes a small engine with a capacity of 79.7cc, strong and never thirsty on fuel. Dual 3-prong 120V AC receptacle of 60Hz power rating. Low fuel and oil automatic shutdown with overload protection and multiple indicator LED`s. It has a Total Harmonic distortion of under 0.3% while in idle mode and when under full load it is less than 1.2%. Low oil and fuel shutdown coupled with indicator LEDs with an overload protection. Briggs & Stratton P2200 is a 55 pound generator producing 1700W running watts and a surge output of up to 2200 Watts. Fortified with multiple power outlets, the power smart generator can comfortably support all home appliances safely at a go. The Briggs Stratton 30651 inverter generator is equipped with a one gallon fuel tank that can power the power smart generator for up to 8 hours at quarter the load producing a noise level of 59 db. At eco mode this generator produces 57db of noise, it is very unobtrusive. Supports parallel operation with a power smart technology that automatically matches the engine speed to the amount of load for reduced fuel Consumption as well as longer engine life. Has noise mufflers to cut down the amount of noise produced while in use. Has a classic fuel gauge for fuel monitoring as well as an idle automatic control. 2 120V AC outlets, 5V USB port and a 12V DC outlet. The Briggs-Stratton p2200 generator features an overload alert system and a low oil amp to warn when the oil levels are too low for use. The overload alert system detects the amount of load connected to the generator and automatically adjusts the speed for optimum operation. This feature saves on fuel, increases the engine`s life span and reduces the level of noise. The generator has an H-handle. This increases the portability as one person can comfortably move it around. 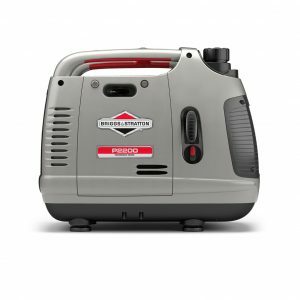 This feature coupled with the low noise production makes the Briggs Stratton 30651 generator the most ideal for camping expeditions. Is heavy, could prove difficult to move it for a longer distance. 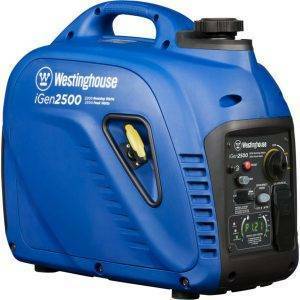 The Westinghouse iGen2500 Inverter generator is contrived with a double Acoustic protective cover case. It has disproportionate cooling fans to maintain a low internal temperature and stumpy toned mufflers to reduce operating Noise. It has a run time of up to 10 hours at 25% load with a full gas tank, very economical on fuel. Produces 2500 starting Watts and 2200 running watts of clean power without electrical variations as common with most inverter generators in the market. It can be safely used with all the power sensitive electrical appliances. It features a bright LED display, dual silent mufflers to reduce emitted noise as well as well a dual insulated protective hood to increase its durability. Worldwide customer support that comes in hand whenever you have a problem with your Honda generator. Duplex 120VAC 20A Household outlet. Weighs 48 pound and is therefore more portable with a well fitted built in carry handle. Comes with a 3-year warranty period. Produces 52db of noise at 50% load, this is considerably low and can be comfortably be used without worry of noise pollution. Ability to adjust engine speed in accordance with the connected load enables it to economise on fuel. Easy to use control panel with a bright LED display that shows the power output, fuel levels as well as the remaining run time. It is a powerful machine suited for all day to day uses. Lacks wheels to carter for improved portability. Needs more purchase protection, something more than the provided two year warranty would be better. Not suitable for heavy duty power appliances. 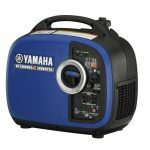 The Yamaha EF2000isv2 inverter generator produces a peak of 2000W and a running wattage of 1600W output from a 79cc engine capacity. EF2000isv2 is fuel efficient with a running time of 10.5 hours at quarter capacity of the load from a 1.1 gallon full tank. It is a robust generator that is able to run comfortably in parallel to double the level of power output. At 25% load connected, it produces noise of 51.5 dbs. It produces 61dbs at 50% load connected to the system, this considerably low and is suitable for camping and home use. It is super-quiet. Controller with advanced programming gives the EF2000iSv2 the capability to power a wide range of appliances comfortably. Smart throttle regulates the speed of the engine with respect to the amount of load connected to it. This saves fuel, the amount of noise produced and the overall life span of the engine. Parallel generator operation, the EF2000iSv2 can be connected to another EF2000iSv2 to increase the output as required by the user. Gasoline petcock; the petcock can be shut off to run the carb dry before storing to avoid starting problems during future needs. Low oil warning system. This prevents running the engine with the improper oil levels to prevent expensive repairs and overall engine life remains at peak. Auto-decompression system reduces the level of piston compression for an easier start. Overload breaker; is a system that prevents generator damage in the case of an overload. 8A 12V DC outlet for power output. EF2000iSv2 has rubber feet to isolate vibration and provide for stability on the floor when in use. OHV engine with a steel camshaft provides the engine with longer durability. It is cheaper to acquire. Parallel generator operations allows for the optimization of two inverter generators to produce more than 30Amps. Oil watch system makes sure the engine is always with the recommended oil levels. Has a double muffler to reduce noise pollution. It is relatively heavy as compared to other members of the group. The WEN 56310i inverter generator is a beast with 3.5 horsepower engine with 212cc air cooled engine with impressive performance from the fuel efficient strong engine. Having a runtime of 7.5 hours on half the load from a full 1.85 gallon tank is a great thing given the high engine output. Characterizing 57 decibels of noise at 25% load is such an impressive character from the 2800W generator. Moreover it weighs a mere 81.4 pounds-a superb feature from this robust generator providing power wherever needed conveniently. With all these features from the 2800W generator, WEN 56310i is one of the best inverter generators on the market. Produces 3100W at peak and a running wattage of 2800W which is considerably high from the 212cc OHV engine. It is run by a single cylinder 4 stroke OHV engine with an enforced air cooling structure. 3% Total Harmonic distortion when unloaded and under 1.2% distortion on full load. The engine is lubricated by a splash lubrication system that makes sure all the engine parts are lubricated for a smooth running. Supports parallel operation with specific ports for a higher power production. It is a CARB and EPA III compliant generator and thus environmentally friendly. Double three-prong 120V ports and two 5V USB port. Comes with a limited two year warranty. Features an overload protection that is automatically triggered whenever a high power Consuming device is connected. A fuel gauge, built-in wheels for easy movement and automatic low-oil shutdown. Maximizes on fuel usage with an Eco Mode which automatically changes the engine depending on the amount of load connected. With low loads, the eco mode reduces the speed and thereby reducing the fuel Consumption levels. 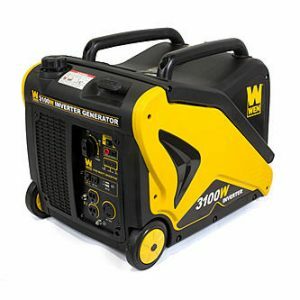 Constitutes a collapsible carrying handle that comfortably supports the whooping 81.5 pound dry generator that measures 23” x 16.5” x 19.5”, very remarkable given that this is a 2800W generator. Eco mode automatically adjusts the speed of the engine to suit the connected load whereas at the same time minimizing on the fuel used. Has wheels to enable easy movement of the heavy machine. It more noise as compared to other models producing 63 decibels at 75% load, not so friendly to the neighborhood. The Generac 6866 Inverter generator, a product of Generac boasts a 2000 Watt peak voltage and a 1600w running wattage which is exactly similar to the Honda EU 2000i engine rating. At its heart sits an OHV 80cc 4-stroke engine that runs for 7.7 hours at 25% load from a full 1.06 gallon fuel tank, somehow thirsty on fuel compared to its other Honda equivalent. It features a beautiful LED display for almost all the functions and units, these include; fuel bar, run-time, low oil and fuel, run-time counter, reset, load indicator and a power bar. 2000w at its peak and a 1600 running wattage. Standard, Turbo, Economy modes offer a wide range of operating states and help save on fuel while reducing fuel use at the same time. Parallel kit is available to connect two Generac 6866 inverter generators for optimal power production to suit increased power needs. Displays run time to show how much time is remaining before refuelling. The power bar displays the amount of Watts being used while running. Engine shutdown when the oil level is too low guards the engine from damage. 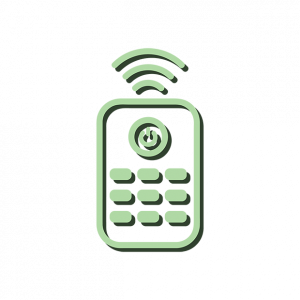 The power Dial integrates all the engine functions such as start and stop into one simple dialling pad. To mention about the noise levels, this generator produces a mere 49 decibels of noise, it is literally more quiet than the noise produced in a library and could be the best choice for use in places where noise could be a nuisance. Comes with a 3-year residential warranty. To add on its mobility, it weighs only 49 pounds consequently making it easy to move around. 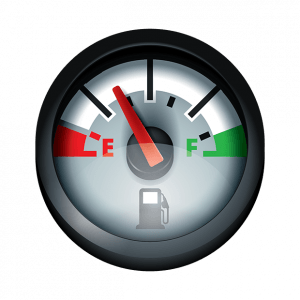 An electronic fuel gauge makes it easier to monitor the amount of remaining fuel. Has status lights and displays the remaining time with a power bar making it an easy task to monitor its usage. Is thirsty on fuel with a run time of 5.7 hours on 50% load. Is not durable as compare to its Honda counterpart. Housed in a sleek cube design, the Champion 75531i is one of the best inverter generators ever, it produces a peak 3100 Wattage and 2800 Watts while running from a huge 171cc Champion 4 stroke OHV gasoline engine. This RV ready generator is the ultimate choice for all mega appliances that would have otherwise needed two small inverter generators paralleled to produce the required watts. It produces 58 decibels of noise at 25% load, ultra silent and offers minimal disturbance while in use. Produces 3100 peak wattage and 2800 running watts. The Champion, as the name suggests, is a champion in fuel Consumption with a run time of up to 8 hours at 25% load, from the 1.6 gallon fuel tank. It is a very fuel efficient engine. The Champion 75531i generator is compliant with EPA III and CARB in 50 states, you can have it run for a whole day without any harm to the beautiful environment. Automatic shutdown when the oil or fuel level is too low to avoid engine damage. Supports parallel engine running to increase the needed power to required levels, it has a special parallel kit equipped with a 30A RV outlet. It is designed with an Economy mode to reduce on fuel use while at the same time an overload protection is integrated to safeguard in case of an overload. A USDA spark arrestor is fitted as well to trap unnecessary sparks within the system. A limited three year limited residential warranty. Weighs 83.8 pounds dry weight and measures 4” x 17.3” x 18.3”. True sine wave inverter technology for a more stabilised output almost same to mains-grade power. A powerful machine that produces 3100 Watts starting wattage. With 83.8 pounds of weight with two wheels and handles makes the Champion-75531i a very convenient power source. It supports parallel operation and thus two inverter generators can be stacked together to produce more power as required by the user. Equipped with a smart economy mode, the feature allows for regulated engine speed in accordance to connected load thus leading to higher fuel economy and a quitter performance as well as an extended engine life. Long warranty that offers good purchase protection. Makes more noise as compared to other brands. 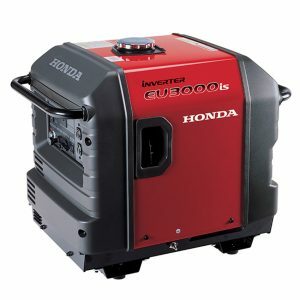 The Honda EU3000is inverter generator Constitutes a robust engine that spits out 3000W of power on start and a running wattage of 2800W of super clean power than is available for use on even the most power sensitive electronics and appliances. It is a strong engine that is available for use in multiple electrical needs either in a camping site or in the household. This Honda engine does not have a bad performance on fuel economy given that its power production is unmatched. 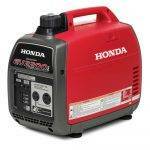 It has a run time of up to 20 hours on a 3.4 gallon full tank on half the load, perfect from a 3000 Watt generator. Furthermore, Honda 3000 Generator produces only 49 decibels of noise at quarter load and goes up to 58 decibels when loaded with the full rated load, quieter than a normal conversation that one would not hesitate to go for. This Honda engine spits out a starting wattage of 3000W and stabilised to a running 2800 Watts. Has an oil alert system tasked with shutting down whenever it is too low on oil. This makes sure the engine is more durable. Has the ability to power 13,500 BTU AC unit make more than fit for use in the household as well as providing great power in a camping site. Weighs a whopping 131 pounds, the two well fitted side handles come in handy to move this heavy engine by two men. Honda made use of an advanced inverter technology that only produces a power grid grade power output with no variation in the output wave, very clean power. The power can be comfortably used with all the sensitive appliances without fear of damaging them given that this is a mains grade power. Read our full Honda EU3000 Review. Produces 49 decibels of noise at 25% load and 58 decibels on full rated load, so silent you won’t have to keep responding to complaints from your neighbours making it the most ideal for household and camping needs. The Eco-throttle structure controls the speed of the engine in accordance to the connected load thereby saving on fuel and increasing its durability as well as reduced emitions. Weighing more than 130 pounds and lacking the wheels to ease movement renders it immobile and thus reducing its availability for use in distant needs. The elegant Atima AY2000 inverter generator is a proud product of Yamaha, always available to power all your home appliances with great ego, you won’t stop loving it. It produces up to 200W from the 120V with a recoil oriented start system with the support of a parallel system to comfortably respond to all your demanding power needs at a go. Atima-AY2000 is savvy on fuel and can run for up to 7.6 hours on quarter load from a full 1-gallon fuel tank. Suitable for all your daily power needs and never fails. 2000W starting power and 1600 running wattage from a single cylinder 4-stroke gasoline engine. Produces 52 decibels of noise from 25% load, equals the sound from a normal conversation. Atima-AY2000 weighs only 47.41 pounds. The engine in enclosed in an elegant aluminium alloyed body perfected with an easy to carry around handle. DC Output of 12V/8A and 120V at 60HZ. Has a smart technology that enables economy on fuel while at the same time reducing the amount of noise from this quiet generator. An overload protection guards from damage in case of an overload. A PWM (Pulse Width Modulation) keeps the output at a stable pulse output. Has double 20V AC output socket and one 12V DC output socket. It is CARB compliant so you don’t have to have to worry about polluting the environment. Protection from its circuit breaker prevent damage to appliances connected to it whenever there is an electrical errors. Atima AY2000 is economical on fuel with a fuel optimization enabling it to run hours long on a gallon of fuel. The air cooled engine is long lasting since always functions at its optimum levels. Has an easy control making it easy to maintain run and besides, it is easy to use. It lacks wheels for easy movement. All modern inverter generators work quite the same way, in a basic sense; they work based on the principle of electromagnetic induction. Michael Faraday, reputed by many to be the “father of electricity”, discovered this principle of electromagnetic induction in 1831. He observed that when an electrical conductor (any material that can conduct electricity like a metal rod or wire) is moved around within a magnetic field, electrical pressure is created between the two ends of the conductor. If you connect an ammeter to the conductor, you’d observe a current flowing through the conductor. Generators can be either of two types: AC or DC. AC refers to alternating current while DC stands for direct current. Inverters convert DC power into AC power. Simple, isn’t it? Well, maybe not as simple as it looks. There are a bunch of inverters that work in different ways. Some output AC current in square wave form while others output modified sinusoidal wave signals. The ones you need to concern yourself with are the inverters that output pure sinusoidal wave AC power. That’s where inverter generators have an edge. Inverters don’t simply modify the signal, they also make it cleaner. You see, the power company supplies power to your home in the form of pure sinusoidal AC waves. IF you’re familiar with sine waves, you know they’re curved lines that rise and fall on a time axis. Square waves, on the other hand, are square-shaped signals that rise and fall abruptly, sometimes damaging sensitive electronic circuits in the process, making them operate at higher temperatures than their specified operating range. Inverters ‘invert’ the input signal, and then superimpose the inverted signal on the original output by shifting the phase. Too technical for you? Don’t bother your head about it. Let’s move on. An inverter generator basically consists of a simple AC generator, a rectifier, and an inverter circuit. The alternator gives out 3-phase AC power that the rectifier converts to DC. The resulting DC power is then passed through the inverter, where it is cleaned up and then converted to single-phase AC at a specific output voltage. The final output is a stable, pure sinusoidal AC current you can use to power your regular home appliances – your TV, stereo, air conditioners, etc. Any modern electronic appliance designed to run on sinusoidal AC will only display peak performance when it is supplied with stable, clean AC power. An inverter generator gives you electricity similar to the one you get from the power company. Inversely, the power output from a conventional generator is best described as low quality, consisting of square wave signals, which is dangerous for delicate electronic appliances. It’ll heat up your laptop, phone, home theatre, and other equipment and appliances, and cause damage to any microprocessor-based low-voltage system with prolonged use. This is usually most evident when you power speakers with your conventional generator – you’ll notice the degradation in sound quality output. It may be barely noticeable, but it will definitely be there. Everyone’s needs differ. 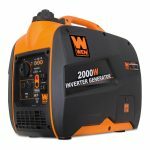 And that’s why, as opposed to giving you a list of best inverter generators, we simply made an outline of several factors that would help guide you through your decision-making process in arriving at your unique choice of the best inverter generator for you in particular. Power output of generator engines tends to vary across board with each specific model and price or range of prices. Nevertheless, conventional generators can deliver within a range of 3,000 to 20,000 watts of electric power. Inverter generators are much more limited in maximum power output due to the desire for less noise and greater portability as evidenced by their design. They generally give a maximum power output between 4000 and 5000 watts on average, which is quite sufficient for most domestic applications. 4000 watts is enough electric power to run an air conditioning unit in an RV while microwaving a meal with the TV on. 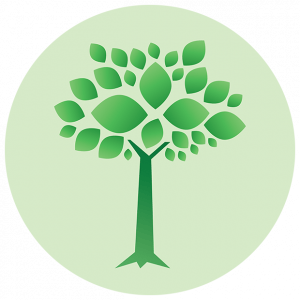 You don’t really need more than 4,000 watts – not unless you plan to start a kind of local power company to supply your next-door neighbors. Even if the RV isn’t the intended destination for the inverter generator, but your home instead, maybe as a backup in the event of a blackout or a natural disaster, you wouldn’t need more than 4000 watts. You can power almost 10 LED lights, 4 fans, a microwave, a TV, water heater and a laptop – and there’ll still be some space to add some extra appliances in the mix like a blender or toaster. On out website we have generator wattage calculator, try to use it to understand your needs. Although conventional generators can generate more maximum power than inverter generators (going off sale prices only, not adjusting for efficiency or running expenses), you won’t need more power than the higher end inverters deliver, and you can as well buy something lower if it suits your needs (be sure to double-check your calculations). Inverter generators can gain up to 40% extra fuel efficiency compared to conventional generator models, even though they feature smaller fuel tanks. This is due to their extremely efficient engine design optimizations. These efficiency tweaks make inverter engines deliver more power for longer periods than conventional generators per the same amount of fuel. For power to be delivered at the right frequency, a conventional generator has to keep the RPM (revolutions per minute, a unit of engine speed) constant, at about 3600 RPM. Fuel consumption increases as more power is demanded. But the least speed the engine can run at is 3600 RPM, even with minimal load and power demand. Inverter generators also feature an intelligent load monitoring system that checks the load being put on the output, so that the microprocessor can tell the engine to either increase or reduce its speed to save fuel, similar to how power saving mode on your smartphone gets activated when it isn’t using much processing power for tasks. They can operate at much lower speeds than conventional generators, which in turn reduces vibration and noise. Unlike the conventional generator, the decrease in engine speed does not result in lower frequency in the output power of the inverter generator, as inverter generators are designed to output power at a constant frequency regardless of the engine speed. Consequently, an inverter generator consumes less fuel when power demand is low, and can increase its engine speed to supply more power when needed. Generator run-times tend to vary based on differences in engine design. Standard generators have larger fuel tanks since they are designed to supply a specific minimum power output with less regard for portability. 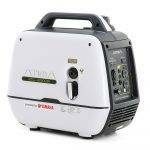 Inverter generators, designed from the get-go with portability as a major consideration, have smaller fuel tanks. Nonetheless, due to their superior fuel-efficient design, many inverter generators have run-times of up to 10 hours, as well as lower exhaust emissions. Conventional generators feature a very basic, functional design. Hook up an engine to an alternator, and the AC frequency is determined by the speed of the engine. This has nothing to do with the load. An increase in load while is in use will lead to an increase in throttle, so that the engine speed (3600RPM) can remain constant. The power output from the alternator goes straight to the attached equipment without being regulated or processed. Inverter generators are also different in this regard. Instead of sending the electricity directly to the load unprocessed, inverters use a rectifier to convert AC to DC, and then make use of capacitors to smooth out any fluctuation in the resulting output. Next, the DC is inverted back to clean AC power at the needed frequency and voltage. This makes for more consistency in power output that is constant and clean regardless of the engine speed. This quality of power is what the electric utility company supplies you. It is very important when powering electronics like TV’s, gaming consoles, phones, laptops and other sensitive appliances that require high quality, clean power. 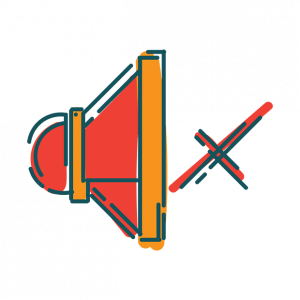 Noise level is a very important consideration, depending on what you plan to use it for. For domestic uses or generating power in areas that are sensitive to noise, the inverter generator is a no-brainer. They are designed with engines that are much quieter than conventional generator models, coupled with specially designed mufflers to further reduce noise, and noise dampening technology. All these embedded features combine to keep the overall noise very minimal. Moreover, since inverter generators don’t need to maintain a minimum speed of 3600RPM to maintain a steady supply of clean power like a standard generator, the engine speed is also lower most of the time which means less noise. 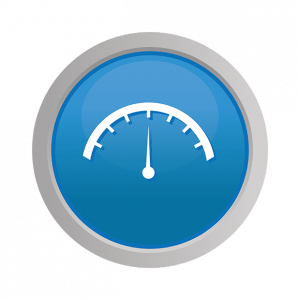 Noise levels for inverter generators range from as low as little as 50 dB of noise (the general level of a normal conversation) at partial load, to 60 dB when running at full load. For some more context, an electric razor is rated at 68dB. 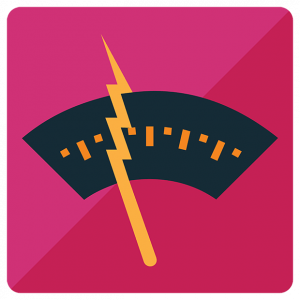 A lot of conventional generators have noise ratings that go as high as 75 dB – that’s about as loud as a car traveling around 70 MPH. That’s too much noise to expect your neighbors to cope with, whether at home or out camping. 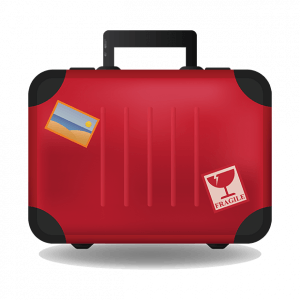 Portability is a relative concept; with a practical definition that gets updated very quickly as developments occur, especially in our fast-paced world. So, while a lot of conventional generators are referred to as ‘portable’, they are usually very heavy. After all, they basically consist of an engine and fuel tank connected to an alternator – how portable could they be? Their design gives more consideration to power output and run-time than to portability (unit weight and size). And rightly so, if you’re looking to run equipment that requires heavy load like a plasma cutting tool or welding tool. Many conventional generators are so heavy that they need metal bars to be lifted and are also fitted with wheels for movement. Like we earlier pointed out, inverter generators are built with portability as a major design consideration. This is why they typically offer lower power outputs (between 500w and 4000w) in a more compact and lighter unit package when compared to standard model generators. 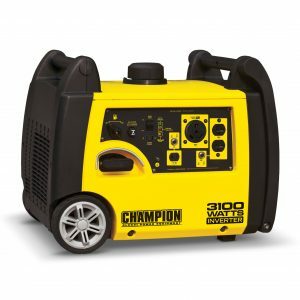 Inverter generators are small and light enough for one person to easily carry, and they can also easily be stored in the trunk of a car, RV or boat. Premium products, especially premium technology products, attract a premium price point. For all its benefits, if at all there is any downside to the inverter generator, then this has to be it. Try as hard as you can, you will never be able to find an inverter generator that is cheaper than or equal to a conventional generator that gives similar output. The reason for this is not far fetched: manufacturing inverter generators requires extensive research on the cutting edge of technological development in power generation resulting in custom parts built specially to reduce noise increase portability and be more environmentally friendly, and all that without a reduction in performance. You could say that inverter generators are worth every cent of their higher price. Inverter generators are still far more expensive than conventional generator models, even though the prices have been reducing, and continue to reduce as time goes on. If you aren’t too keen on clean AC power and your appliance is capable of operating on square wave AC current then a standard generator might just be all you need. You need at least 14 hours of continuous power a day for an appliance that isn’t so sensitive to power quality. You’re on a budget and you need something inexpensive to power lights, heaters, fans, and other appliances that are not very sensitive to current quality. The generator is going to be some distance from your house or room, so the heat and noise won’t be a bother for you. It’s quite obvious that the simplicity of design of the inverter generator gives it an upper hand over standard model generators. 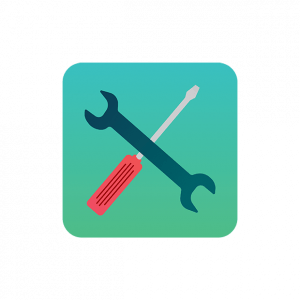 With fewer components, namely an engine connected to an alternator, there are fewer points where failure can occur, and troubleshooting is much easier. This can be an important criterion in making your decision to purchase an inverter generator. That said, there is little evidence to suggest that inverter generators have a higher failure rate than conventional models. They can be more difficult to repair, however, due to their more complicated electrical components and circuitry. Of course, it’s all a matter of personal preference, but if you really need something that is very easy to fix, then it might be better to go for a conventional generator. One very nice additional feature that not all inverter generators have is the fuel gauge, even though one would think a fuel gauge would be standard issue on all units by now. 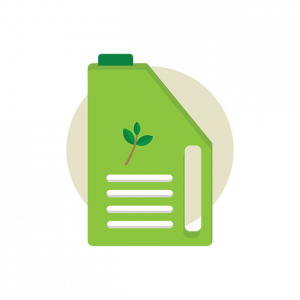 It’s not enough to be able to guess how much fuel you have left by examining the model specifications when there is a more effective way to tell. Some generators have analog gauges while others have digital gauges, and yet some have multiple gauges. The ones with multiple gauges can tell you how many hours the fuel you have left can last you. They do this by measuring the power being used on one gauge and fuel consumption on another, then combine those two measurements to calculate the amount of time left. Many inverter generators can be used in parallel or combined to increase and potentially double their power output while still offering their trademark quiet, clean power. Conventional generators do not have this feature. This is typically done by connecting two identical units with a special cable. Some new inverter generators come with a remote electric start. That’s a great feature to have especially when out camping, because it’s super convenient: just push a button and your generator starts. Some inveter generators can be started remotely from up to 300 feet away. It also has a very good safety feature embedded. Some models are programmed to shut down if the oil reaches a level that isn’t safe for operation. Some inverter generators sport an eco mode function. This feature reduces fuel consumption by reducing the engine speed as much as possible when the power needed isn’t very much. The eco mode isn’t automatic; it can be toggled on or off, so you could choose to switch off eco mode if you need more power for a particular appliance, and put it in eco mode and save fuel when the extra power is no longer being used. Also, the lower engine speed when eco mode is on means the engine motor gives less noise. Truth be told, except you live off the grid or out in the middle of the desert, your generator will be in storage most of the time. You only take it out once in a blue moon – when you need to go fishing, tailgating, on a trip in your RV or in one of those rare instances when the power goes out. All that’s going to come to in a whole year is just a few hundred hours. So what happens when your generator hibernates in your garage for months at a time? Fuel may escape, and the fuel system could get clogged. To prevent this, you need to drain out all the fuel and run the engine until the tank is totally dry before storing the generator for an extended period of time. Nonetheless, to prevent fuel loss or leakage, a good generator should still have a switch that can turn off the fuel system automatically when you shut down the engine. You may have observed (or maybe not) that when the generator has been on for a while, it starts to rattle strangely all of a sudden. That may be an indication that your oil is going down and your engine is not getting enough lubrication. This could lead to engine failure in extreme cases, and will cost you roughly half the amount you originally bought the generator to fix. It would be best to get a generator that has some kind of display or indicator for the engine oil level. An inverter generator almost always trumps a conventional one when compared shoulder to shoulder. Unless you need a lot of power, an inverter generator would most likely be the way to go. It is quiet, stable and safe, and provides clean power in a highly efficient manner. Inverter generators are portable and easy to transport. Camping: An inverter generator can give you adequate power supply and not be too noisy for other campers around. RVing: Many camps have noise restrictions, especially at night, so you’ll need a quiet power source. If you’re in a cabin or a boat, you’ll possibly need to charge your phone or laptop. A noisy generator can be quite frustrating to listen to. An inverter generator is a quiet and stable source of energy that can be useful in emergency situations to power some basic devices and appliances. 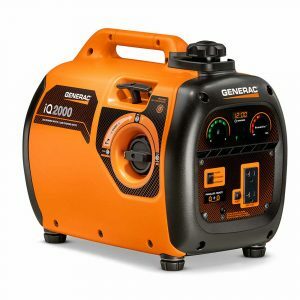 To round off this guide, beware of these mistakes people tend to make especially when buying something as important and useful as an inverter generator. 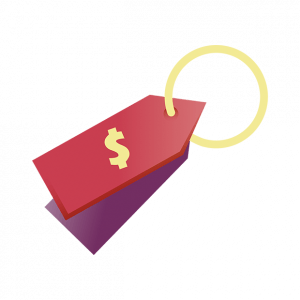 These tips will serve you in making other purchasing decisions too. Don’t get distracted by industry jargon that you might probably be unfamiliar with. Focus instead on the specifications of each machine you are presented with. The sales and marketing department exists simply to make sure you buy what they are selling, so you have to do your own due diligence and ignore their praise for their product, which could sometimes turn out to be undeserved. Buy a generator from a well-known manufacturer. If after making some research, you can’t find anyone who knows of a particular company, make sure you don’t buy from that manufacturer. Ensure you get a warranty – and make sure it’s a good one. If more than one generator fits your exact needs, then go for the one with the best warranty. A warranty is a vote of confidence by the company on their own product, and good insurance for you. Don’t just buy the first generator you feel meets your needs. Check around and make comparisons. 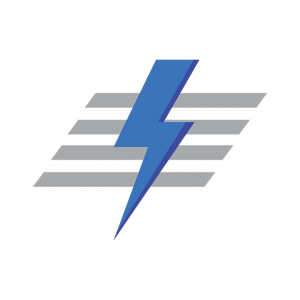 Search inverter generator reviews and compare specifications, features, and prices to ensure you get the best option possible. Buying online usually turns out to be a thrifty way to go.